According to reports from Autosport, the Force India F1 team has gone bankrupt and been placed under administration by a court in London. Rumors circling around the paddock have also added on that the team has trouble locating the financial resources to invest in mid-season updates to its Formula 1 cars and pay Mercedes for the use of its engines. Even its driver, Sergio Perez, has not been compensated. This situation follows after the team's owner, Vijay Mallya who is in trouble in his home country for fraud and money laundering, has placed himself on a self-imposed travel ban to prevent extradition. 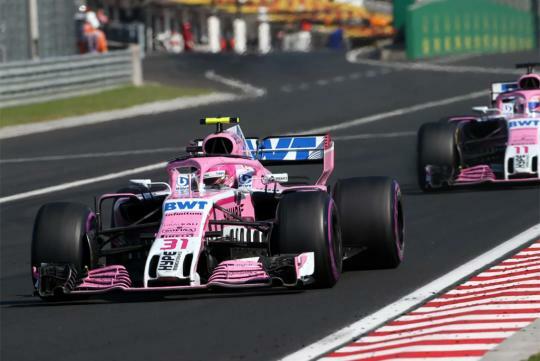 Fortunately, it is unlikely that Force India will disappear from the grid as there are potential buyers out there that can rescue the team. One of those is billionaire Lawrence Stroll, who is very supportive of his son, Lance's, career in Formula 1. Lance is now driving for Williams and if his father buys over Force India, you can bet his son would join the team. It's the color I tell you... Pink? ?